The city of dreams, Mumbai is blessed with plenty of lovely cafes that not only offer hot coffee with the freshly baked cookies, the sweet aroma and the gooey chocolate, but also provide you great comfort and relaxation from the hustle bustle of busy city life. You can enjoy the warmth of an inviting cafe wherever in Mumbai settling in to the soothing music at your comfortable couches and favourite cuppa. 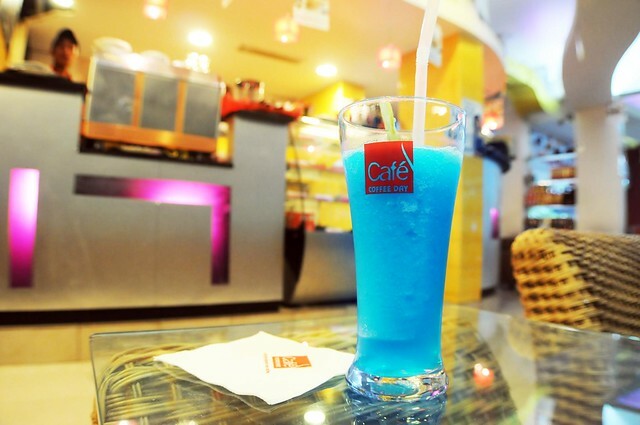 Cafe Coffee Day, the favorite coffee shop of India has several branches in Mumbai. But the Cafe Coffee Day in Navi Mumbai is the most favorite coffee shop in the city, both for the young and the young at heart. You can experiment the delicious tastes of dessert shots, big eats, small eats, sweet treats, cake away, sundaes and your favorite beverages. Theobroma, situated at Bandra West, Mumbai introduce alluring world of pastries and yummy cakes to the food loving people by providing services at all times of the day. While a scrumptious breakfast of pancakes, wholesome French toasts and Danish pastries along with a refreshing cup of cappuccino is waiting for you, it is quite natural that you may forget your diet plans. Leaping Windows, the popular coffee shop in Mumbai situated at opposite Bianca Towers becomes the favorite choice of all types of tourists with its bright interiors and an inviting ambiance. The Leaping Windows, with the pleasant breeze and comfortable reclining chair becomes the ideal platform for relaxation and rejuvenation, as it is located far away from the usual chaotic sounds and the furor of horns. Salt Water Cafe at Bandra West Mumbai provides breakfast, lunch, brunch, dinner and all what you want from 9.00 am to midnight. It arranges a symphony of timeless European flavors that will be difficult to forget. Besides the casual seating area, a romantic terrace and an elegant bar make you able to select this cafe for all occasion. Be it for breakfast, lunch, mid time snack or dinner, Cafe Mondegar at Colaba Mumbai is inviting you to taste you favorite cuisines accompanied by beer and music from the jukebox. In addition to giving the less oily and healthier food, the casual and retro feel provided by the cafe will of course make you surprised. Cafe Mangi with its charming Italian style ambiance adorned with antique wood decor and intricate brick-walls and the countless number of contemporary glow bulbs, is well known for its wood-fired pizzas. Its menu also includes naughty cappuccinos and cocktails coupled with delicious desserts and heady wines. In addition to the given lists, there are plenty of other cafes in Mumbai that can make you wonder with its menu of unique tastes and comfortable atmosphere. So don’t miss them whenever you visit Mumbai. I had spent quality time in salt water cafe with my some school friends. We got together at this cafe after years.